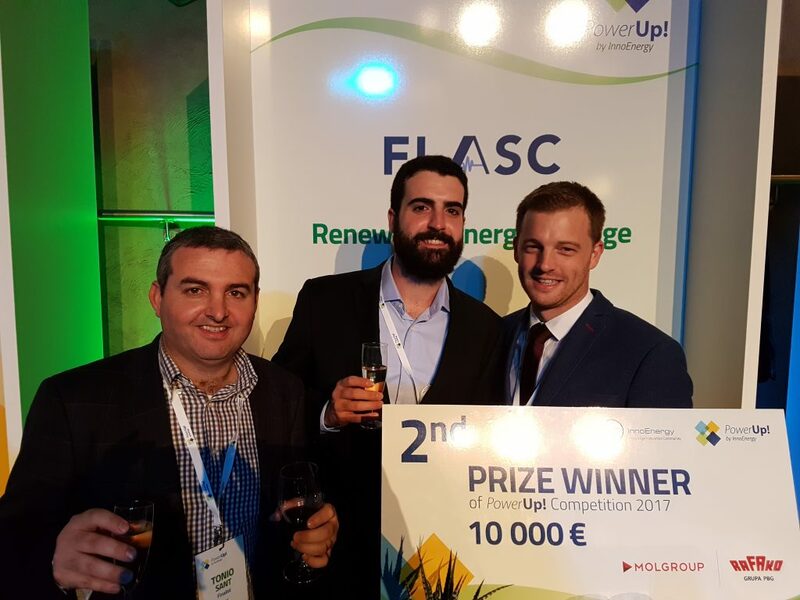 The FLASC team went up against 11 of the best energy start-ups from the central and eastern European regions at the PowerUp! Grand Final in Budapest. Each team had already won their respective regional final, so competition was tough. They pitched their idea for 4 minutes to a panel of judges, comprising CEOs, VCs and portfolio managers. The judges then had to rank the start-ups based on how likely they were to invest. In the final ranking, FLASC placed 2nd, right behind the home team, and took the €10,000 cash prize. The team is very happy with this result, considering the competition started with 158 contenders from 24 countries. Beyond the cash prizes, the event was a great opportunity to network with potential customers and prospective investors.